Just like the argument of which came first the chicken or the egg, in SEO circles, the question over which type of optimization (on page or off page SEO) is more important has echoed as a debate for years. While this post could easily tip in either direction, let’s set the table for the debate by defining the characteristics of each facet. Optimization implies improvement by way of creating a scalable series of modification to enhance performance, function or output. Inline code vs. Code Pulled from the Cloud or Linked via an rel attribute (Which Links Data from Server Side to a Page instead of putting the CSS or other code in the page) to Minimize Page-Load Time. The HTML Output via the Programming Platform (aspx, cfm, php, etc.) and Whether or Not the Slugs (URL Format) and Code are Lean or Crawl-able to Search Engine Spiders. 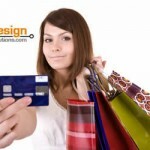 The Relevancy of the Title Tag, Meta Data, Header Tags to the Primary Keyword. How Relevant the Content in the Body Area is to the Meta, Internal Links, and Other On-Page Elements. The Occurrence of Keywords, their Proximity to Other Related Keywords and Their Volume of Usage in a Document. Inbound links from other websites. o Velocity (How Many Links, How Fast). o Frequency Per Keyword Anchor Text. o Neighborhood (What Type of Neighborhood are the Links are From?). o C Class IP Range (are they from the Same Block?) Same Server, Same Hosting Company? Make each page rank for a prominent shingle “word or group of words”. Prioritize which pages are more important than others based on where they sit in the site architecture, navigation structure, secondary navigation or internal links. Make a page rank on a fraction of the links from off page ranking factors. 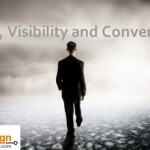 Compensate for flawed on page optimization for less competitive keywords. Take a new page from not in the top 1000 results in Google to Page One in weeks. Get deeper less important pages in Google, Yahoo or Bing’s index to create more mid-tail or long-tail traffic. 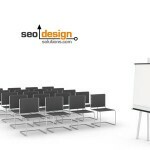 Develop authority for the page and website (which is the basis of long-term visibility in search engines). While the percentages of on-page to off-page SEO differ based on the keyword, the site, the age, trust and authority of the pages or collective pages within a website; the bottom line is, SEO requires a balance of the two. Crossing the algorithmic tipping point for a websites’ on page elements depends on the skill of the competition you face in the SERPs (search engine result pages) as well as what type of ranking factor they are using to hold their position. For local keywords or keywords that have a lower threshold of competing pages (less than 300,000 in “phrase match” for example) then a website with enough supporting articles and marginal inbound links is more than enough to topple a top position. More competitive keywords require (a) laser-like on page precision (b) a trusted domain or page (c) substantial supporting pages or (d) a higher echelon of links to push competitors aside. For example, some websites are ranking as a result of the volume of pages that have instances or occurrences of a keyword in the sidebar, on the footer, in the meta data (pulled from a dynamic database, etc. ), yet those sites are often paper-champions to bypass due to the fact that the page itself has no inbound links (to stave a full-court press from competitors). Websites such as shopping carts, Amazon, Overstock and other massive dynamically generated websites are typical occupants of the top search results for makes, model numbers and related products, yet getting past them will require the proper percentage of on page and off page wizardry. In our experience (on one hand) we have been able to get websites ranked using 60% on page SEO and 40% off page, while (on the other hand) we have been able to use links alone to push a page to the top without ever touching any on page metrics. The factors which determine what percentage or just how much time and energy you can commit to either the on page or off page metrics is controlled by the age and authority of your website, the quality of links, the supporting content and how many links (and the type, volume, frequency and quality of links) you are able to concentrate on each keyword. 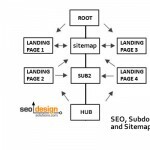 The takeaway is, you need both – the breakout depends greatly on multiple granular variables, but as a rule of thumb, the stronger the on page SEO, the easier it is for a website to (1) gain authority and (2) serve as a beacon or hub page to rank other pages without the need for off page optimization. While on the contrary, off page ranking factor (links alone) can produce results, but if the ranking metrics those links are attached to ever change, then those rankings can vacillate or slip away as a result of building a foundation on links alone. 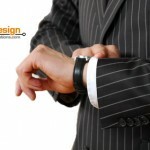 Will Google Real Time Search Eclipse The Static Web? 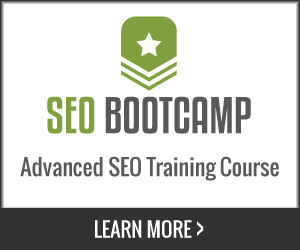 Nice article, I really need to start improving my off site optimization to increase my SERP. 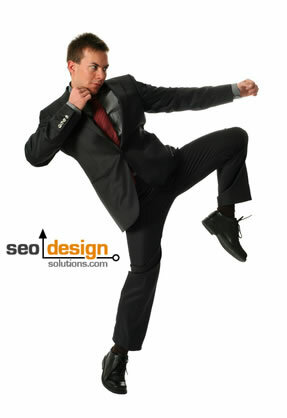 I use your wordpress seo plugin and it is great, it really helps my on page optimization. what the hell, the blog post is best and the best. but i cannot see the widget to share it at facebook or at twitter. can the admin do something with this. Thanks for the heads up on the icon visibility issue. I have added an additional series of social media Icons to the posts (in case your on mobile or have java disabled) using our SEO Ultimate Plugin – Now, you should see new icons to Share This! Good article Jeffrey. I share the same belief as you, a good content page will usually get more backlinks on its own than a poor content page so I tend to stress on the on page at first and then worry about the off page. 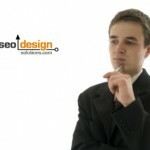 i have jus started teaching myself some SEO, this post is really helpful. thanks! After reading this post, i came to the conclusion that this post is so full of info, i think SEO is all about optimization and it isn’t one time play, you have to keep yourself in consistent with it, keep changing, keep updating, i mean this SEO industry really have some kind of real deep strength and potential which we really need to hunt for… really really great effort thanks alot. With CDNs coming into play nowadays, I am thinking about Cloudflare’s CDN and proxy in one service. With Cloudflare, it is impossible to control what IPs you domain gets assigned. Therefore, it is difficult avoid bad neighborhoods and difficult to control your network of sites so that they are on different class C’s. 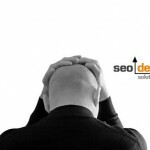 My question is, Jeff, will search engines have to redefine those two points about SEO? Should I be concerned if I want to put related niche sites on Cloudflare while linking those sites together? Difficult to say if the spiders can read the proxies or not. I have not tested this method yet, but suggest going with a dedicated IP and class C IP diversity at best. 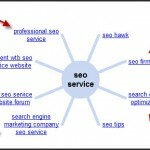 Great Post On Page vs. Off Page SEO, I have got some usefull information in this blog. Good work done. I have learned so many things from this blog. Never knew before that Off Page optimization could be this much beneficial. Will start focusing on off page optimization more. Thanks Sal, hope you enjoyed the post and the others.